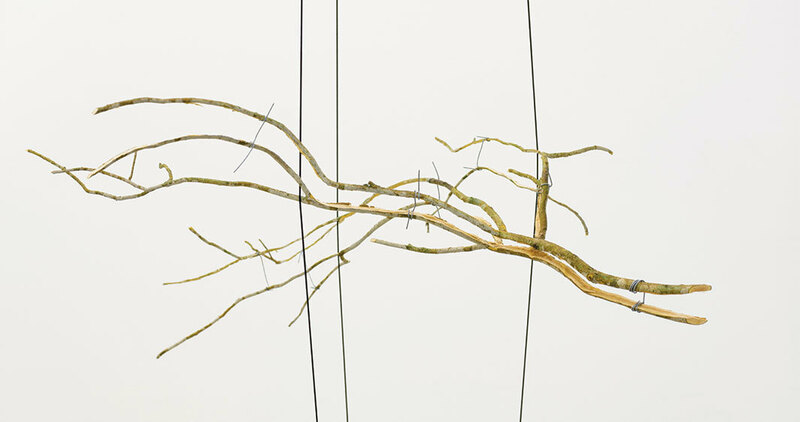 Daniel Steegmann Mangrané, Natureza geométrica/biología (Geometric Nature/Biology), 2018, branch, rubber bands, ropes, metal, dimensions variable. Some gallerygoers may remember the duck-rabbit illusion used in the psychology of form, which demonstrates that perception depends on the mind’s expectations of what one will see. But its blurring of the dichotomy between seeing and knowing depends on two recognizable animals. 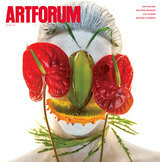 What if one takes such a lesson to the realm of geometric abstraction and to the opposition between nature and culture?